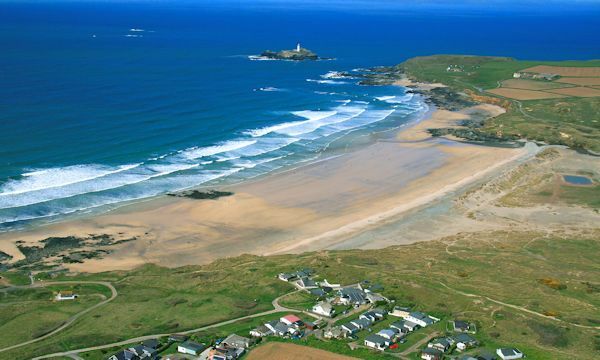 Beachside Holiday Park in St Ives Bay, Hayle, Cornwall is surrounded by many of the spectacular locations from the Rosamunde Pilcher TV and film productions, with several of these within sight of the park. This makes it an ideal base to explore the stunning scenery, and have a photograph of yourself in the same place. Our friendly staff will be pleased to assist you in planning a route that suits your requirements, and also other beautiful locations not too far away. Rosamunde was born in 1924, in Lelant just one and a half miles from Beachside, which was featured in the film ‘Land Der Sehnsucht’. Lelant has changed very little over the decades with its delightful village and coastal scenes, and a walk around the village, railway station and the coastal path to the beaches is highly recommended. The map below shows many of the popular film locations and their close proximity to Beachside Holiday Park. Licherspielr, Sturmische Begegnung, Wolken Am Horizont, Der Lange Weg Zum Gluck, Das Geheimnis, Der Weiben Taube, In Der Mitte Eines Lebens, Rundum Glucklich. 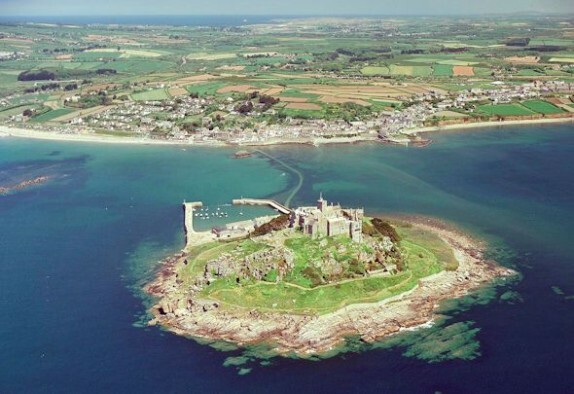 St. Michael’s Mount is a 100 metre granite outcrop that becomes an island at high tide. 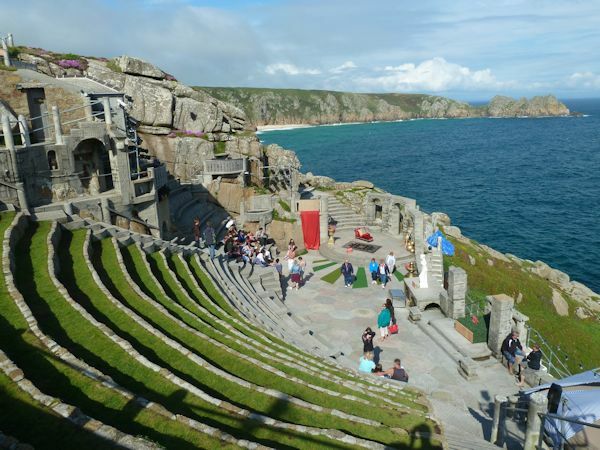 It has a history of pilgrimage and battle not to mention a commanding presence overlooking Mounts Bay. This fantastic location also includes Marazion with large stretches of beach. Sculptured out of its granite surroundings and overlooking the clear water and golden sand of Porthcurno, this is a magical setting with stunning scenery and the home of the world famous Minack Theatre. Porthcurno was also the place where the original telegraph cables came ashore from overseas, and now fibre optic cables join them. Featured productions include:- Lichterspiele, Sommer Des Erwachens, Zeit Der Erkenntnis. A little way west down the coast at Gwennap Head there are some wonderful granite outcrops and cliffs with the coastguard lookout featuring with the helicopter in Zu Hoch Geflogen. 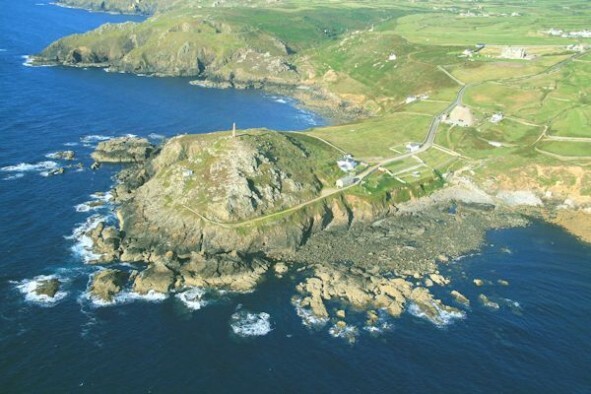 An unspoilt part of rugged Cornish beauty with its ancient ‘St Helens Oratory’ that also features in productions together with cars, tractors, and a glider in a very unusual setting. Tiny fishing boats operate from the slipway at Priest’s Cove, and their huts have been built into the cliff sides over many years. Used in :- Sommer Am Meer, Uber Den Wolken, Die Muschelsucher. Only a few minutes drive from Beachside Holiday Park (or a pleasant walk along the beach), this area features in many of the productions and has the well known lighthouse on the island plus numerous rocky coves and a fine stretch of golden sandy beach. Horses, sports cars, landrovers, and a cliff top road are all part of the action in this glorious vista of sea, dunes and vast beaches – all in a beautiful green coastal setting. There is also a rocky cove frequently home to many seals. Not surprisingly the area features in many episodes :- Klippen Der Liebe, Mowen Im Wind, Lichterspiele, Klippen Im Wind, Verlobt Verliebt Verwirrt, Ungezugelt Ins Gluck, Gefahrliche Brandung, Die False Nonne, In Der Mitte Eines Lebens, Uber Den Wolken, Der Himmel Uber Cornwall, Evitas Rache. 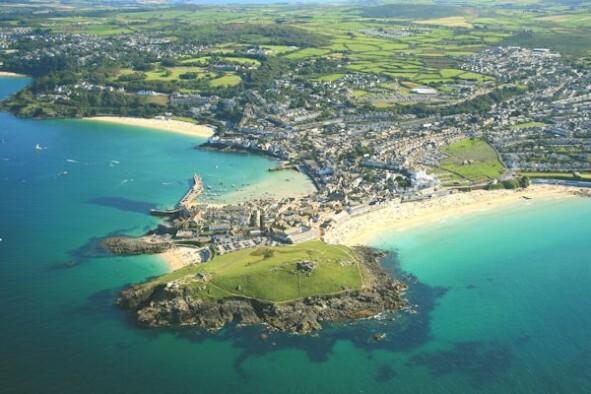 All locations are near St Ives Bay, with Godrevy, Gwithian, and Hayle set along its 3 miles of beach, and Beachside Holiday Park situated in the centre, perfect as your base for exploration and adventure. May, June and September make a fantastic time to explore Cornwall, when the weather is often at its best, and prices are very affordable. All aerial images courtesy of Peter Channon.